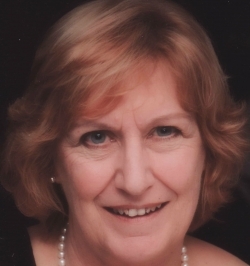 Today I am delighted to welcome back to my blog Frances Evesham, who has had two novels in a trilogy published by The Wild Rose Press, An Independent Woman and Danger at Thatcham Hall, which are atmospheric Victorian mysteries. Frances visited once before to talk about her background, her writing and An Independent Woman. Not long ago, I read Danger at Thatcham Hall, and it was a particular aspect of this novel that made me want to invite Frances back again. Hi, Sue, and thank you so much for having me back on your blog. 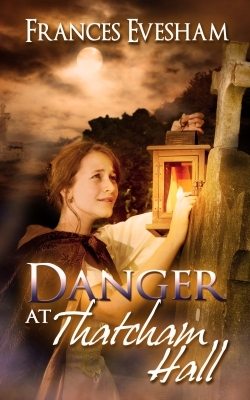 One reviewer compared Danger at Thatcham Hall to an Agatha Christie novel, which surely ranks as one of the most enormous compliments of all time. Did you feel you were writing an amateur sleuth whodunnit when you wrote the book? It was so exciting to be mentioned in the same breath as the great Queen of Crime herself! I've found myself increasingly drawn to murder mysteries. The first novel in the Thatcham Hall Mysteries, An Independent Woman, began as a gothic romance and grew into a mystery. I enjoyed writing the mystery aspects so much that I set out to write a true murder mystery with Danger at Thatcham Hall. My interest in murder is growing all the time. A couple of weeks ago, I went to the Agatha Christie Festival in Torquay to hear speakers on poisons. I can't wait to put everything I learned there into practice - just in my stories, of course! The reason I invited you back was to discuss a particular aspect of Danger at Thatcham Hall. Something I loved about it was all those little period details that conveyed the country house setting. Is this something you were already knowledgeable about before you started writing or did you have to do lots of research? I really enjoy researching the Victorian era. When my three children were young, we moved house often as my husband was in the RAF, and it seemed that every new class was studying the Victorians. I became adept at mocking up 19th century costumes. Since then, through researching my own ancestors, one of whom turned out to be a journalist and friend of Charles Dickens, I learned more. I'm no expert, but totally fascinated. Unfortunately, my ancestors didn't live in a great country house but in farmhouses and London terraces. Are there an details in particular that you love? For me, it's costume details - I love describing clothes and I love reading about them (and, by the way, your descriptions of the crinolines were just wonderful). Is there an aspect of Victorian everyday ife that you specially enjoy mentioning? The Victorians seem to have been tremendously fond of arsenic in their daily lives. They used it to kill rats, in fly-papers, to whiten their complexions, in green dye for wallpapers and clothes and as a tonic. Apparently, arsenic has the effect of plumping up the tissues and, as a result, it became popular as a form of Viagra for gentlemen of the time. Of course, this led to many deaths. Some were accidental, but others , as in the case of a 12-year-old poisoner, William Newton Allnutt, were deliberate. William put aresenic in the sugar his grandfather sprinkled on stewed apple. Do you have shelves of books about Victorian social life? How do you tackle your research? Yes, I love reading early sources, such as Mrs Beeton's Book of Household Management. She says, "The real duties of the butler are in the wine cellar." How I wish I had either of those two luxuries! Henry Mayhew's London Labour and the London Poor gives verbatim accounts from costermongers, flower-girls, rat-catchers and crossing sweepers; and The Old Bailey Online provides transcripts of trials in the London's Central Criminal Court, right up to the early 20th century. I find that reading trials, written in the words of the participants, gives a real flavour of the times. For example, one man was deported for cutting off cows' tails, a serious crime in Victorian times, as it was an attack on the farmer's property. Any hints about the third in the trilogy? There are a few loose ends that I want to tie up in the third novel, and I'm planning another mystery with romantic overtones. However, like the previous two stories, it's likely to change its shape as I write! I can't let you go without mentioning the talented Debbie Taylor, whose cover illustrations for both your books are so beautiful and atmospheric. Does she work in isolation when she produces your covers or do you have some input? Frances, thank you for taking the time to answer my questions. It's been a pleasure to chat with you again. I'm looking forward to reading your new contemporary crime novel. Thank you, Sue. I've so enjoyed answering your interesting questions. Frances Evesham writes mystery stories: the Thatcham Hall Mysteries, 19th century historical mystery roamnces set in Victorian England, and the new Exham on Sea contemporary crime series set in a small Somerset seaside town. She's been a speech therapist, a professional communicator and a road sweeper and worked in the criminal courts. Now she walks in the country and breathes sea air in Somerset. Thanks, Carol. I went to a great talk on poisons in Agatha Christie's work at the AC Festival recently: food for thought! Thanks for visiting my blog, Carol. I get the feeling it was the tweets about arsenic that drew you here! Frances's cover illustrations are just beautiful. She is fortunate to have such a talented cover artist supporting her. Lovely to meet you! I also write Victorian crime fiction (1860s) and my latest novel features the dreaded arsenic! Always amazed not more of them perished, given it was so ubiquitous. Love your covers! Hi Jen, sorry if it made you choke. Thanks for your comment. I enjoyed answering Susanna's clever questions- they certainly made me think. The more I find out about the Victorians, the more fascinated I become! I think Frances has made us all sit up and pay attention, Jen! I'm glad you found the questions interesting. Frances generously said I could ask whatever I liked. What a great interview. Intriguing questions, Susanna, and even more intriguing answers, Frances. I have to say, though, it was not perhaps the best piece of reading for me to choose while eating lunch. Especially as my lunch includes apple sauce. Luckily arsenic is not so readily to hand these days as it was in Victorian times! Thanks for your comments, Nicola. I'm glad you enjoyed the interview. Great post, Susanna! Wishing Frances lots of success. Have a lovely week. Thanks for your comments, Louise. Lovely to hear from you again. I too loved the arsenic information. When I asked Frances the question, I thought she'd day, "Furniture," or "Clothes." Arsenic was the last thing I was expecting! I haven't read Frances Evesham's novels, but I have read lots of Agatha Christie books (haven't we all?) and I'm intrigued by the comparison the reviewer made. What an honour to be compared to the Queen of Crime - and what a responsibility Frances now has to live up to! I enjoyed the info about the arsenic - you sound like a dangerous lady to know, Frances! It's a pleasure, Frances. I'm always fascinated by "the story behind the story," so I loved hearing about your writing process. I'm looking forward to reading your contemporary crime novel. Thanks so much for having me on your blog. I loved answering your interesting questions!